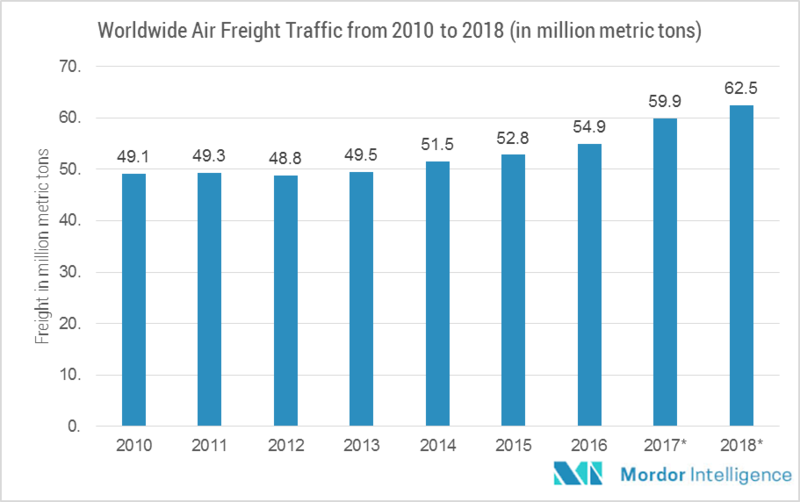 The demand for air cargo screening systems is expected to rise over the forecast period, owing to the growing fleet of e-commerce, which is seen as a future growth driver for the air cargo industry, as online shopping boosts the demand for parcel delivery services worldwide. The modern screening methods of today are proficient and powerful in screening high volumes of cargo, thus, boosting the global air cargo screening systems market. The advancements in the modern IT systems are integral for the development of the modern air-cargo screening system. Important technologies currently in use include, screening systems, based on Explosive Trace Detection (ETD), X-ray, and Explosive Detection System (EDS) technologies. Asia-Pacific is the largest market for screening systems and is expected to increase its global market share, over the forecast period. Further, the growth in the region owes to the rising cargo traffic and improving infrastructure, especially, in the emerging economies, such as India, China, and Indonesia. Africa, currently a small region for the market, is anticipated to record higher growth rates (of more than 8%), by 2021, and emerge as an important aviation hub in the future. The global air cargo screening systems market is expected to register a CAGR close to 5% during the forecast period, 2018 to 2023. Asia-Pacific accounted for the largest market, accounting for around one-third of the global market share in 2017. May 2018: VOTI announced that the Transportation Security Administration (TSA) has granted the approval for VOTI XR3D-6D X-ray scanner which has 3D Perspective technology that delivers enhanced threat detection. 8.9 EAS Envimet Analytical Systems Ges.m.b.H.